D. L. Bennett of The Atlanta Journal-Constitution reports today that a family in Atlanta is suing Aaron Rents, a furniture sales and rental firm, which operates 515 stores in 39 states, for $250,000 in damages. They claim that the living room suite they rented from Aaron Rents was infested with bed bugs. Rebekah Worsham said the saga began in Kentucky when the family was expecting a transfer to Atlanta. Rather than buy living room furniture, the Worshams went to a local Aaron Rents outlet. When the delivery truck arrived at their home, the Worshams and the delivery personnel noticed bugs on the furniture, she said. The crew took the pieces back, promising to clean and return them. Worsham said the furniture came back a day later, but so did the bugs. “A week or so later our kids started waking up with these red bites all over them. We did too,” Worsham said. The tiny biting insects quickly spread from the rental furniture throughout the Worsham home, infesting beds, carpets and other furniture, Akin said. Worsham said Aaron Rents initially worked with the family, replacing bedding and mattresses and hiring an exterminator who made several failed attempts to remedy the situation. The family thought, the lawyer said, that when they moved to Atlanta, they could leave the bugs behind by throwing away pillows, towels and other linens. Instead, they learned the bugs had infested the bed frames and other wood pieces they brought to a rental house in Dallas. An entomologist the couple eventually consulted told them the bugs crawl into wood furniture, televisions, stereos, clothing and can live up to 18 months without feeding, Worsham said. Tha family has completely abandoned two homes so far because they were infested. People need to be aware that rental furniture is at serious risk of harboring bed bugs. Anything that has been in someone else’s home (whether it’s a rental sofa or a set of towels from eBay or Craigslist, or a comforter someone else bought and returned to the store before you bought it “new”) may have bed bugs. Something that can’t thoroughly be inspected, like the insides of a sofa, is especially suspect. But the other concern here is the truck used to deliver the sofa; from the description above, it may well have been the truck that was infested. 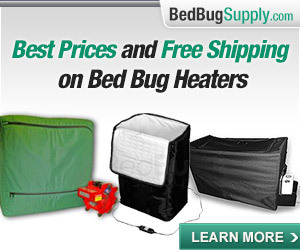 When I first started reading about bed bugs in early 2006, there was a story going around that one furniture rental giant had heaters in its trucks that it used to de-infest rental items. I was impressed and thought this was a great idea. 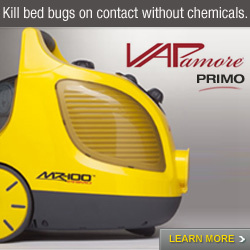 We still do not know which company is doing this, or if it is just another apocryphal bed bug myth. But I’d love to know. I had to move in Philadelphia from one property to another after someone informed me Korman Suites had their furniture provided by a company that does use heated trucks to deliver their furniture (American Furniture Rentals) and thank God because I have had no further issues. We had to throw away a ton of personal property. I had rented a corporate apartment from someone that uses Aarons and I also had bed bugs. They tried to blame me for bringing them into the apartment!! Horrible experience! Make sure you ask about the furniture company if you rent a furnished apartment!!!! It does make a difference. 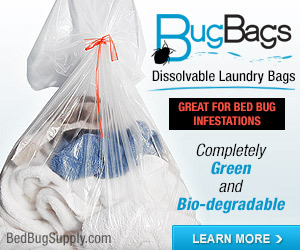 It is worth considering that the corporate apartment itself can have had bed bugs. Rental furniture in general is at great risk for bed bugs and so are properties (whether long- or short-stay rentals). ANY rental company is potentially a source for bed bugs. If there’s any way to avoid it, do so. 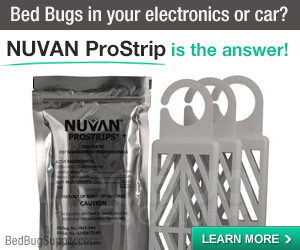 If not, call the company and ask what they’re doing to prevent bed bugs. Ask what, if anything, they’ll do if they give them to you. Get it in writing. And let us know what you find out. We heard once that one company was using special heaters to heat items (which requires temps over 120 for 3 hours) between rentals, but we do not know which company, if it is even true. I have talked to some of the rental companies and they are using steri-fab it is a quick kill but it has no residual so it is a crap shoot if you rent furniture good luck. I think the odds are worse than a crap-shoot, Vectorguard! Steri-fab is fine for killing things you can spray directly. 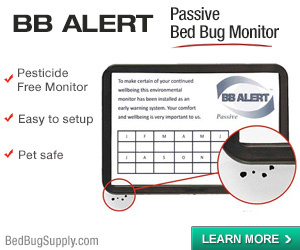 As we know, bed bugs don’t just hang out in the open like that. I have a corporate apt, with rental furniture from Peoples 1. I have been bitten quite extensively, had to resort to steroids and antihistamines as I am severely allergic to bites. I am suffering at night with very little sleep, as I get up many times to turn on the light and check for bugs on my or anywhere near or on the bed. It’s terrible! The furniture company first denied their part in it by offering that they “cook” their furniture to a temp of 145 degrees and spray something on it. Well, here I sit with all new furniture in place, a fumigated apt, and awaiting the return of these dastardly creatures because they’re just hard to get rid of. I am now afraid that I will take them with me when I head to my next job, even though I have washed every item of clothing at least 2 times and with bleach and hot water. Help, I feel like I’ve lost my sanity, and not to mention the money I have spent for Dr, and things I had to get rid of…. It is fully possible for a rental company to remove bed bugs from furniture by heating it properly. If they did so, and delivered it in a truck free of bed bugs, it is possible the bed bugs are not coming from the furniture. They could instead be coming from the apartment. All adjacent neighbors (top, bottom, sides) must be professionally inspected and treated. Your apt. must be retreated at 2 week intervals until bed bugs and bites are all gone. Please click the “forums” button at top right to come to our forums if you’d like to discuss this further. You’ll get more responses there. What everyone needs to understand, its not rental places that they get bed bugs from, its their own neighbors. If you purchace something used from a rental store, its used because someone in YOUR own city had it and that someone in YOUR city has bed bugs.. Rental stores do not have a supply of insects that they put into a living room set then deliver it to you. People need to stop using rental companys as their scapegoats. I do appreciate that agencies renting furniture do not intend to rent out furniture infested with bed bugs. However, you must agree that the person renting items is still right to expect they are renting clean and pest-free furniture. If I rent furniture, my contract is with the rental company, not the person who rented before me. 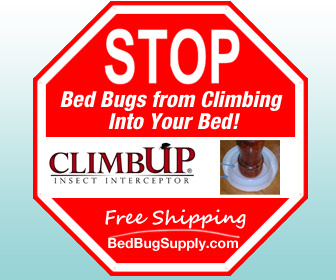 Companies that rent or sell items infested with bed bugs have to be held responsible. Think of it this way: perhaps I rent a broken TV. The person who rented before me broke it by dropping it down the stairs, but the rental company had no idea it was broken. Do I blame the company? Or do I seek out the guy who broke the TV? Obviously, I can only deal with the company. 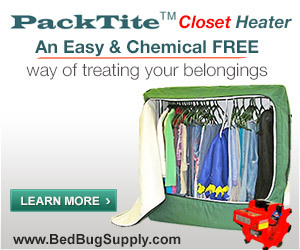 But renting an item with bed bugs in it is much worse than renting a broken item, because bed bugs spread, easily. So if I rent furniture from your company and get bed bugs in my home, I then have to pay a lot of money and spend a lot of time getting rid of them. The good news, is that rental companies can actually prevent the spread of bed bugs from one customer to another via rental items, if they care to. Thermal heat, properly applied, is one way rental companies could de-bug items they pick up from tenants, and it could be done in a truck or specially designated warehouse. There would be an initial investment, but renting bed bug-free items will likely attract many new customers away from other companies who want to shirk this responsibility. 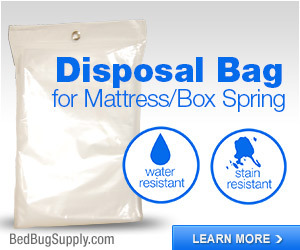 Renting or selling furniture which is bed bug-free just makes good business sense. I just read this article. The family is stupid for throwing all their things away and moving house twice. Jeez, they should have just done some research and could have handled that initial infestation pretty easily I reckon. A lot of people do not know enough about bed bugs, and a lot of folks do the wrong things before they learn what they should have done instead. (And I think it’s fair to say that there’s a lot more information available now than there was a year or two ago). IMO, we need more public education campaigns to help people learn about bed bugs and tell them where to find more information. It seems like you have two questions: what to do about the rental company, and what to do about the bed bugs. As far as the rental company, that seems like a legal question. 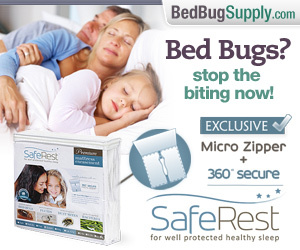 I’m not a lawyer–I just post bed-bug related news. You need to talk to a lawyer (there is a FAQ about how to find free legal assistance if paying for a lawyer is a problem). Obviously, if you are also talking to a lawyer, get their advice about how to document the problem and treatment. 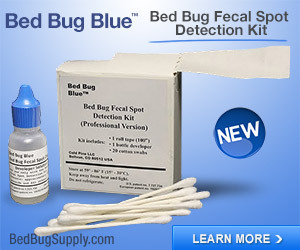 As for the bed bugs, you need to get professional help in dealing with them. 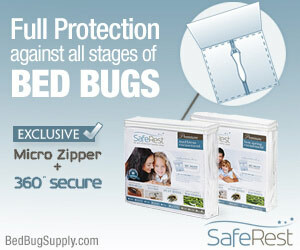 They are very hard to eradicate as you have seen, and you need someone with lots of bed bug experience. 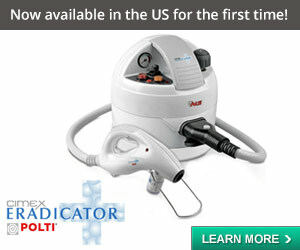 If you go to the forums, someone there may be able to recommend PCOs in your region. We also have a FAQ on how to choose one (what questions to ask). I have a case in litigation against Aaron Rents for bed bugs infestation and injuries that were in furnishings delivered from its Pompano Beach store, existing in the mattress and box springs to my clients. Aaron Rents also gave us bed bugs. 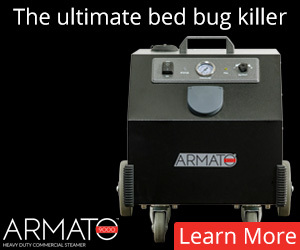 Please see our story at http://www.aaronrentsgaveusbedbugs.com. 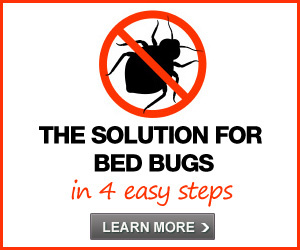 I have dealt with bed bugs on multiple occasions and usually the person is a traveller or has recently travelled. 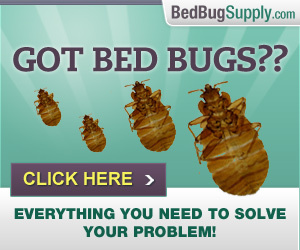 They only call them bed bugs because they come out at night to feed. If they came out while you were driving in the day time they would be called car bugs. Most furniture rental places have a long serious of checklists and spraying methods that they use to keep bed bugs from happening. They store their mattresses together. If one person is reporting a case when the mattress was delivered with 16 others that day, it is usually the person or the residence that is harboring these bugs. I worked for a furniture rental company for many years and fought off 3 frivolous lawsuits where it was determined the client “picked” up bed bugs at a hotel room or airport while travelling. Always check you light sockets and matresses at a hotel room before unpacking. They leave traces on the mattress and box springs as well as headboards and light fixtures. With all do respect to the ones that used to work at theses places. We do not travel and I have ruled out every possibility of getting them anywhere else. And yes I am very upset that the furniture that we paid money for is giving my children itchy and restless nights. I have been able it isolated where they are getting bit and it is only in thier room when they sleep in thier bed so I do belive that Rent a center should be held liable for this furniture and I would hope that they would burn it because I would HATE to have other parents watch their children in agony from these devils.I understand that some people would try to cheat or manuplate the situation but for the ones that having to go through this because of furniture that they paid for from one of these companies we would just want the bugs GONE!!!!!!. One comment stated earlier about purchasing a broken tv. well I dont think that anyone would pay for a broken tv, so it is the same for the furniture that comes with bugs . I dont want to pay for bugs. YA I WILL BLAME THE FURNITURE COMPANIES. 2 DAYS AFTER DELIVERY OF THE FURNITURE I WAS COVERED IN BUGS. THERE WAS ALLREADY EGS AND BABIES IN THE BOX SPRING. HOW CAN YOU PRODUCE THOSE RESULTS IN 7 DAYS. i also rented a sectional sleeper from rent a center and the same night it was deliverd my 6 yr old daughter fell asleep and woke up bitten up and was sent hme from school bcuse the itching was so bad with a letter to check for bedbugs….after checking my whole house i found nothing……so that night i feel asleep on the couch and woke up the next moring & was shocked i had over 200+ bites over my body….that day went to doctor who told me i was attacked by bedbugs that night me and my dude got a flash light and turned the couches over and was shocked to see all those bugs in side of the furniture lives one and dead one ……day four of having the furniture we contacted rac who admitted the furniture they gave me came from another one of ther location who did not sterlize the stuff and they will have an exterminator come do my house…….after the orkin man left rac came got the furniture…my body hurts from all the itching and scracthing. rac should be sued? We can’t tell you if you should sue someone. You should consider consulting a lawyer. Good luck and I hope the bed bugs are completely gone from your home. One treatment is generally not enough. We aren’t lawyers and can’t advise you. There’s also a comment from someone saying he’s a lawyer working on an a case against this firm. You might call him, and if he cannot help, he may have suggestions. Some of the articles linked name the lawyers involved. You might contact one in your area. Also, there’s some advice there on how to find a lawyer.